NEW YORK TIMES BESTSELLER • In this powerful and uplifting novel, a mother and her daughter-in-law bravely leave their troubled marriages and face the challenge of starting over. 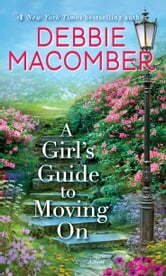 A Girl’s Guide to Moving On by Debbie Macomber is a novel about women getting on with their life after divorce. Nichole Patterson and her mother-in-law Leanne Patterson have just divorced their husbands. They have moved into apartments next door to each other in Portland, Oregon. They have come up with what they call “A Guide to Letting Go and Moving On”. It is easier to say than to do. Nichole was married to Jake. They have a son, Owen. But then Jake (just like his father) cheated on Nichole with another woman and the other woman became pregnant. Jake has done everything possible to delay the divorce. They are still working out the details almost two years later. Nichole just wants to get on with her life. She is a substitute teacher and also volunteers at a dress shop that helps woman gets clothes who are going into the work force for the first time. Nichole meets Rocco Nyquist on day when her car goes into a ditch. Rocco is kind, hardworking, and a good man. Can the new relationship survive the interfering ex-husband? Leanne Patterson was married to her husband, Sean for thirty-five years and he cheated for the majority of the marriage. Leanne always looked the other way. Now she sees that it gave her son, Jake the wrong idea (that his wife would put up with it). Nichole gave her the courage to file for divorce (they did it together on the same day). Leanne is now living on her own (a first) and teaches English as a second language at the community center. It is in the class that Leanne meets Nikolai Janchenko from the Ukraine. He is a wonderful baker with a great personality. He cares very much for Leanne, but then Sean needs assistance. Will Leanne ever get happiness? She will need to have faith that everything will work out according to God’s will. A Girl’s Guide to Moving On was a sweet (though predictable) book. It was a beautifully, crafted novel. My interest was held throughout the whole book. It is easy to read with entertaining characters (especially Nikolai). The ending was just wonderful. 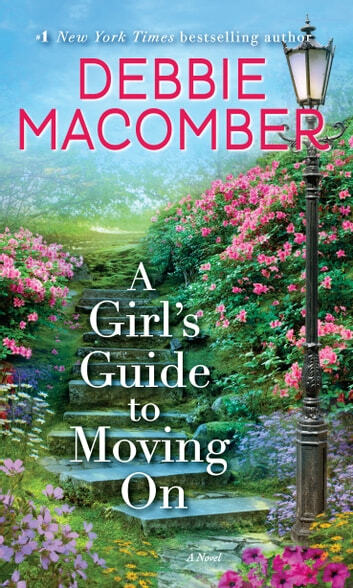 Fans of Debbie Macomber will love A Girl’s Guide to Moving On. I give A Girl’s Guide to Moving On 4 out of 5 stars (I liked it, but I knew how it would end). There is just the right amount of faith and God in this novel (it is not pushy or in your in face). I received a complimentary copy of A Girl’s Guide to Moving On from NetGalley in exchange for an honest review. "A Girl's Guide to Moving On" by Debbie Macomber. This is a story about a daughter in-law and her mother in-law. This is a different type story than I normally read. You have a unique situation where a daughter in-law files for a divorce because her husband was unfaithful. The mother in-law feels that she has done a disservice to her son by overlooking her husbands unfaithfulness. She files for a divorce too. Nichole's biggest supporter is her mother in-law. The daughter in-law, Nichole, and mother in-law Leanne end up dating very different men from the ones they had been married to. Will they be able to take a chance on love again? There are twists and turns that were unexpected in this story. After reading the story, you see the importance of forgiveness and that people can change. This is very different from the typical romance novels but I really enjoyed it. This novel goes much deeper plus you get two romances in one story. I received a copy of this book from NetGalley/Random House Publishing Group for an honest review. Drastic life changes. Are we strong enough to overcome them, how? Nichole and Leanne face these dilemmas. Through divorce, Nicole travels from the rich, country club, affluent world to struggling middle class; from being a couple to single parent. Leanne still has her wealth, after over 30 years of marriage. She rejects that lifestyle and stays near her daughter-in-law, Nichole and grandson, Owen. They struggle through the pain of deceit that led to their divorces. (Includes the mens journeys as well.) Different women, different ages dealing with similar problems. Beautifully expressed in this poignant, emotional story. Second in a series, but a remarkable stand alone. 4 1/2 stars. Received book free through Netgally for honest review. I enjoyed this story much more than I thought I would. I've read many books by Debbie Macomber and have loved most of them. This is the second book in the New Beginnings series. I read the first one and liked it OK but there were parts that I felt were a bit "preachy." I know that Ms. Macomber is very open about her faith in God but I don't recall having faith mentioned quite so strongly before in one of her stories (other than maybe her "angel" series and her Christmas stories). This book brings faith into play as well but somehow it seemed to fit better for me. You don't need to have read the first book - Last One Home - to enjoy this one but the main characters are introduced in that story. A Girl's Guide to Moving on is told in first person POV with chapters alternating between Nichole and Leanne. I can't recall reading any other book by Ms. Macomber that was written in this style. Nichole and Leanne are starting over. Nicole was married to Leanne's son, Jake. Both Jake and his father were serial cheaters. When Leanne tells Nichole that Jake has been cheating on her she does so out of love because she doesn't want Nichole to be like her and turn a blind eye to what Jake is doing. She urges Nichole to break the cycle and not stay with Jake like she stayed with his father which she felt set a bad example for Jake. Nichole vows to leave Jake and set a better example for her son. When Nichole decides to leave Jake, Leanne knows that she also needs to break with her cheating husband. These two women have a close relationship - Nichole's parents are deceased - so they become each others support system in the new life they are creating. They develop a list of things to do and not do and that list becomes their "Guide to Moving On." I've never been divorced but people close to me have so I can sympathize with what these two are going through. I was really surprised by how this book made me feel; I was in tears many times while reading this. Because this is a story of hope and love I was pretty sure that these two would find new loves during the book. The men they meet and fall for are so different from their former husbands but they are good men. Nichole and Leanne's path to happiness is not smooth - both are faced with very difficult life-changing decisions - but reading the story of how they get there was inspiring. Once I got past the first couple of chapters I couldn't put this one down. *****Reviewed for Xtreme-Delusions***** I received an ARC of this book from the publisher via NetGalley in exchange for my honest review.